This is my partner, Louise’s craft store. She has been making some pretty nice greeting cards for a little while and they’ve been selling well in a few local galleries and gift shops so we thought it was about time to present her work to a wider audience. 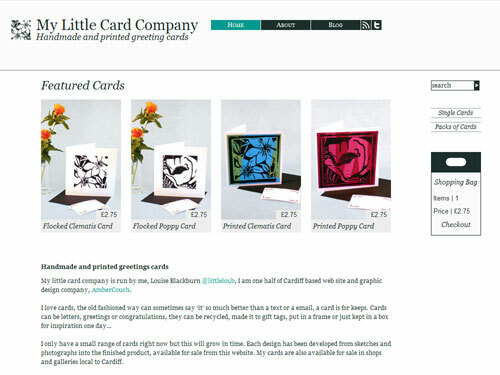 The design is ultra minimal, accented with the odd flourish of frippery and the bright colours of her card designs.